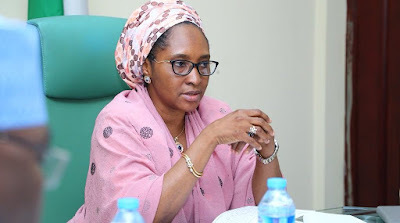 The Senate Committee on Finance on Monday queried the Federal Ministry of Finance for high budgetary releases to itself and some of its parastatal agencies. Members of the committee raised the question when officials of the ministry appeared before them to defend their 2019 budget proposals. According to its budget performance report for 2018, the ministry has so far recorded 76 per cent overall performance in terms of fund released in the outgoing fiscal year. A breakdown of the figures, presented by the Minister of Finance, Mrs Zainab Ahmed, indicates that personnel cost has got cash backing of 89 per cent. She said that overhead cost got 62 per cent and capital allocation got 81 per cent. The Office of the Accountant General of the Federation, which is under the ministry, has also enjoyed high releases in the outgoing fiscal year. Its report as presented by the Accountant General of the Federation, Alhaji Ahmed Idris, released N4.386 billion as at March, representing 84 per cent of the N5.222 billion appropriated to it. This did not go down well with the Chairman, Senate Committee on Finance, Sen. John Enoh, and other members of the committee. The committee sought to know why the ministry released more money to itself while other MDAs were complaining of poor released. The lawmakers also drew attention to “poor utilisation” of the funds released to the ministry and parastatals in the year under review. For instance, the senators noted that whereas N667 million was released to the ministry for capital projects, only N209 million or 31 per cent had been utilised. A similar situation played out in the Pension Transitional Arrangement Directorate (PTAD) which got N192 million for capital projects, but had spent only N11 million or six per cent. Responding, the minister gave the total performance of the Federal Government’s 2018 budget. According to her, personnel budget recorded an average of 100 per cent due to “payment of salaries and pensions as and when due”. “For overhead, out of 12 months we were only able to release eight months with the exception of some critical agencies like the National Youth Service Corps (NYSC) and the Unity Schools. “We prioritised their releases so they had more than eight months, because of payment of corps members’ allowances in case of the NYSC, and feeding of prisoners for the prison service,” she said. The minister added that some military agencies “performing critical functions that must not stop” also had more than eight months. Blaming the partial releases on poor revenue generation, she said the average revenue performance at the close of 2018 was 55 per cent. “Because of that, we were not able to fund the budget as we will have loved to, and therefore impossible to say some agencies’ budgets will get 100 per cent cash backing ” she added.